A man was sent to the hospital Tuesday after his tractor ran into the side of his neighbor’s home. Post photo by J. Reed. 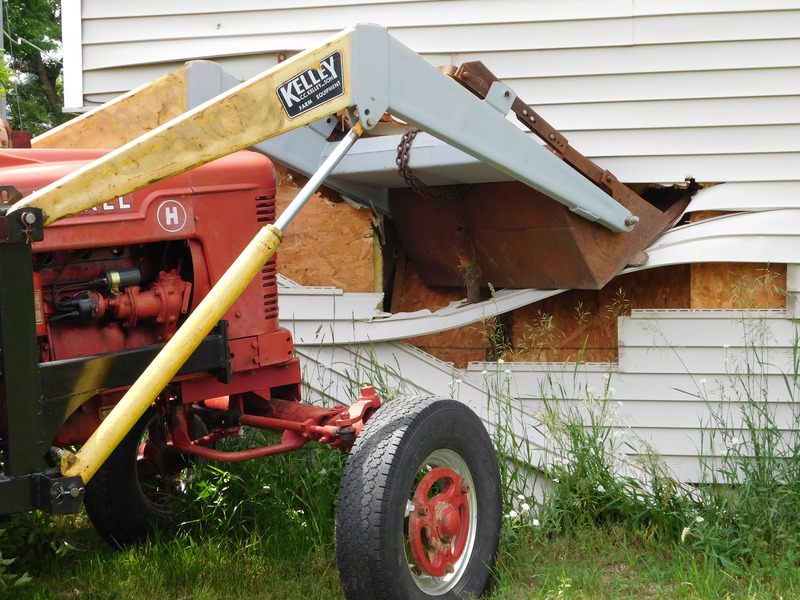 A tractor collided with a house Tuesday, sending a 69-year-old man to the hospital. Mike and Belinda Sanderson were taking a nap Tuesday afternoon when they suddenly felt the whole house shake. “We both wondered, ‘what was that?’” said Mike. 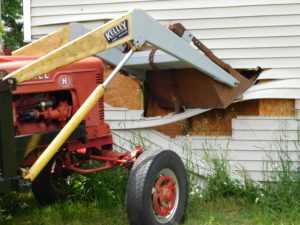 He said their nephew then told them the neighbor had crashed his tractor into the side of the house. The accident occurred shortly after 2 p.m. Tuesday, June 12, at 4499 16 Mile Rd, just east of the White Pine Trail. 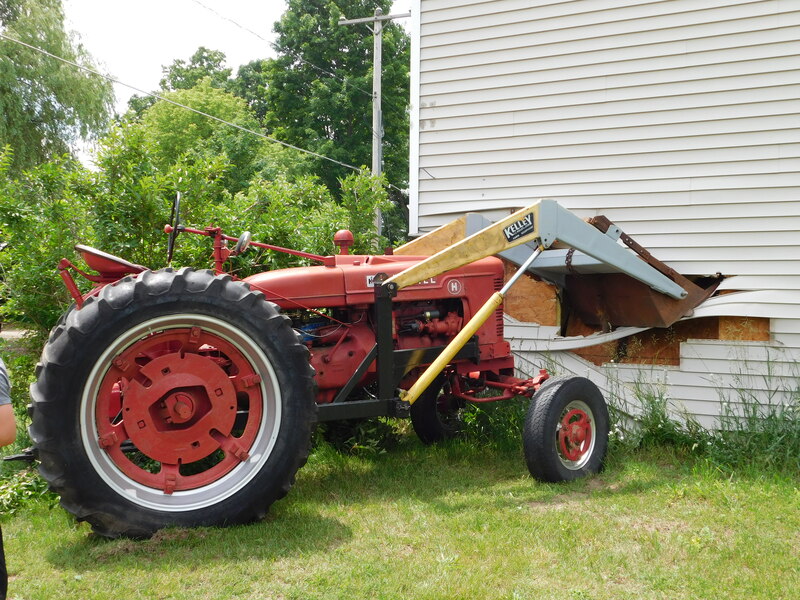 This tractor crashed into the home of Mike and Belinda Sanderson, of Solon Township. Post photo by J. Reed. The Sandersons went outside and discovered their neighbor, who had fallen off the tractor, bleeding from the head. They said the man did not remember what had happened. They think the smoke stack on the tractor may have hit a branch on a tree in his yard, then came off and hit him in the head, knocking him unconscious while the tractor drove across the lawn and into the side of their house. They found the smokestack to the tractor and several branches near their neighbor’s tree. The Kent County Sheriff Department responded to the scene, along with Solon Township Fire and Rescue, and Cedar Springs Fire and Rescue. The man was transported to the hospital by Rockford Ambulance with a gash in his head.